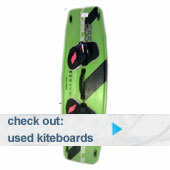 Yet again North are leading the way with windsurfing inovation and have released two new products. The Shox and the 3 Piece mast. – Be it speed, racing or freeride, with the SHOX.XTR you can finally appoint on a dead downwind course without fearing any control problems. Makes every rider 1-2 knots faster, immediately. – In the waves, firstly the SHOX.XTR dampens landings and delivers a new level of board control when going down-the-line. – Supports the pop in Freestyling by the rebound. In addition the damping improves reception on landings. Thanks to a level adjuster the travel can be varied between 60 and 80mm, with longer travel for tougher conditions and higher waves. Of course we have integrated the POWER.XTR ratchet mechanism for SDM as well as RDM masts. And all of this is achieved with only 100g of additional weight compared to a standard Power.XT extension. SHOX.XTR – get ready for an unprecedented riding sensation. Better still we have a couple in stock!! 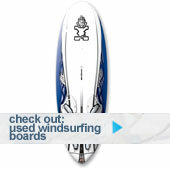 Another revolution in windsurfing design. So you’ve heard of the immobile one piece and the lengthy two piece which both have the odds stacked sky high against them – enter the three piece. The two plug-in connections result in a harmoniously flexing middle piece creating a more harmonious bending curve in the most critical mid-section. The base section comes with white polyamide coating to prevent scratching, abrasion and thermaloverstress. The best thing is, you can change the centre piece to extend or shorten the mast, saving you from buying a number of masts and it’ll be hard to find a car that the three piece wont fit into. We sell both the SDM & RDM Silver series along with the centre pieces too.